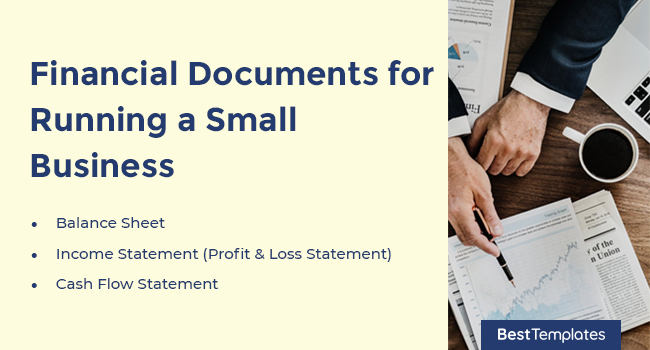 When starting a small business, you will need to know all about the different documents needed. Since finances will play a major part in your successes, it is best to get yourself acquainted in what you’ll need when running the business, as well as when you intend to sell it. Between these two scenarios, similar documents will be used, along with different ones. By knowing which is used for what, you will find the success you want. 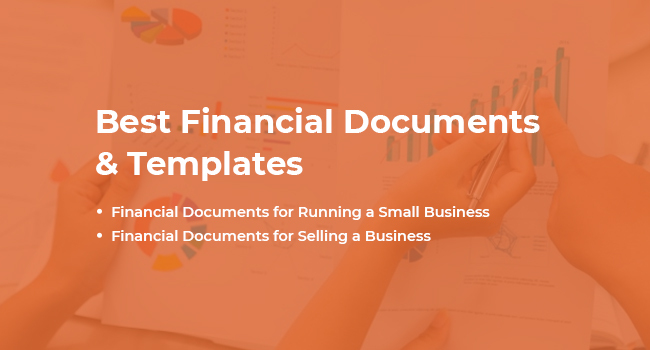 These are the most common financial documents used when running a small business. Utilized in various ways on a day-to-day basis, familiarize yourself with these things if you want to keep your business afloat. These can also be involved in some of the more complex documents later on, making them incredibly important. A balance sheet is the statement of assets, capital, and liabilities of your business. Normally, these things are listed and represented only for a specific period. Hence why there are numerous variations, such as quarterly balance sheet and monthly balance sheet. This helps in providing a computing rate basis concerning returns and capital structure evaluation. 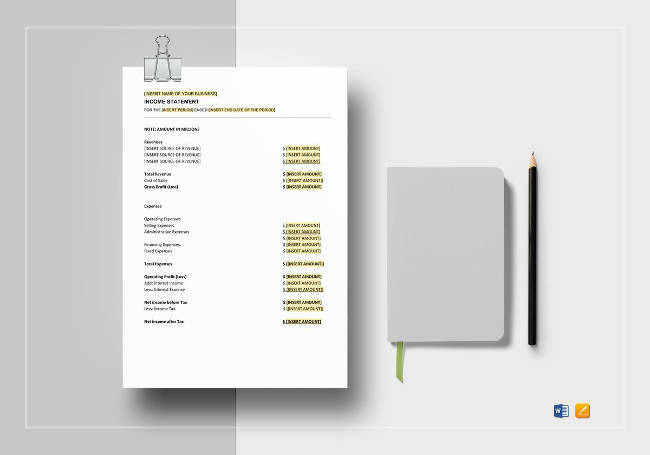 An income statement refers to reports of your business’s financial performance. Set over specific accounting periods, you can expect variants like monthly income statement and quarterly income statement. In assessing how your business incurs revenue and expenses, you get a clear picture of its overall performance, which can be useful for your financial strategies. A cash flow statement summarizes how much cash and its equivalents are entering and leaving your business. All in all, it measures the performance of the company regarding the management of its cash positions. 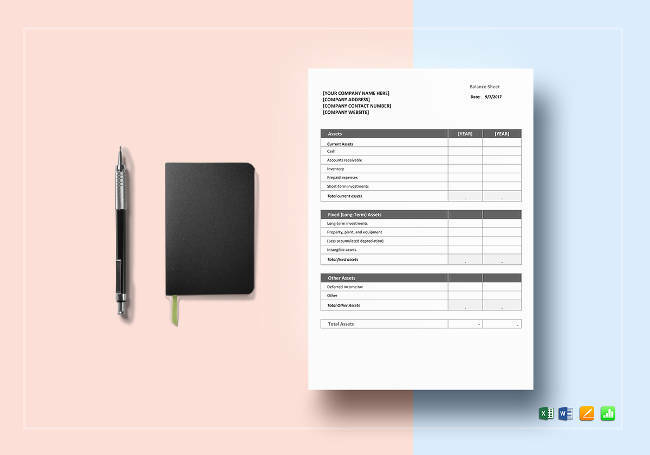 Complimenting both the income statement and balance sheet, you can expect a daily cash sheet and a monthly cash flow forecast to come into play. There may come a time when you decide that selling a business is the right thing to do. Before you can move on from this, there are a few documents that need to be taken care of. 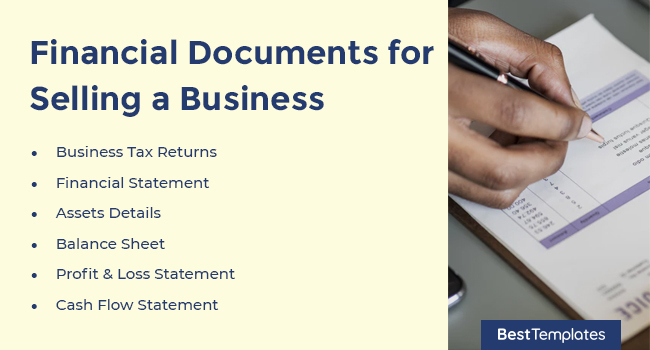 These documents are crucial during this transitional period since they can serve as written records of your business’s past financial performances. This is basically another term for ‘income tax return.’ Not only is this a statement of income of the business, it also expresses its expenditure. Any taxes that should be paid from your profits is declared here. You can also expect specific details of your business’ assets and liabilities to be listed here. That includes fixed assets, creditors, debtors, and loans both given and taken. These are the summary reports that reveal how your business utilized whatever funds that have been entrusted to it by lenders and shareholders. Three basic statements would be balance sheet, income statements, and cash flow statements. An alternative term for them, collectively, would be business financials. When it comes to finances, assets can be defined as economic resources. Having asset details on file helps in the selling of your business because it shows potential buyers what your company has to offer. This would include the specifics, such as the asset’s name, the description, and type. As the statement of your business’s assets, liabilities, and capital, you can bet that buyers would be interested in your balance sheet. Through this, they can see how well the company has done in the past, giving them an idea of how much their returns will be, as well as that of the capital structure, once ownership has passed to them. 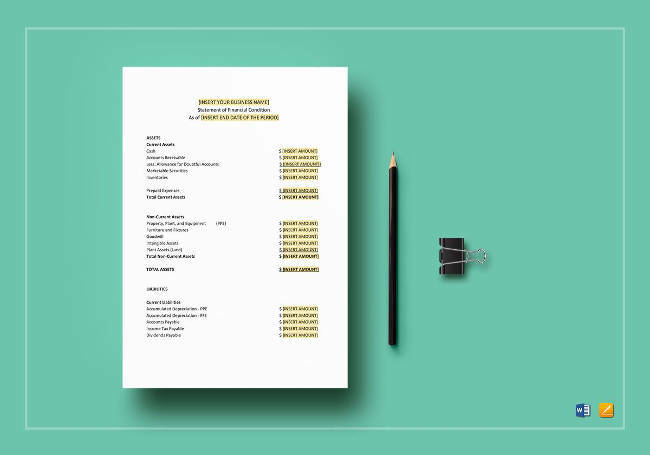 A profit & loss statement template is always going to be needed when selling your company. After all, this is the statement that sums up your business revenues, costs, and expenses. You will need to reveal the P&L not only for the current year, but also for the past two to three years. This allows buyers to be able to perform their own long-term forecast once ownership of the business has been passed over to them. 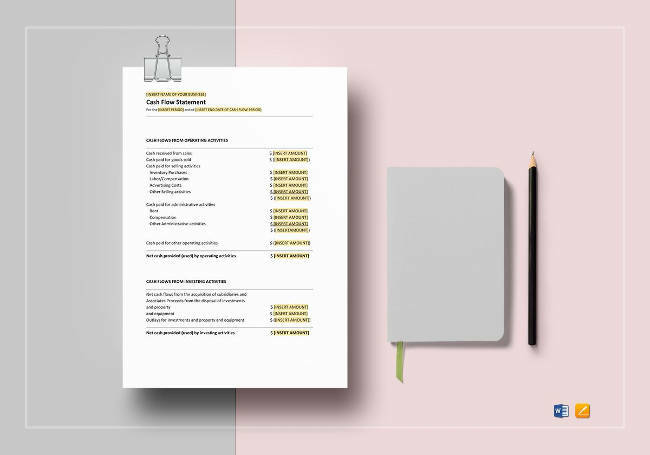 A cash flow statement is needed when selling your business due to how it summarizes the amount of cash and cash equivalents entering and leaving the business. Buyers would like to see and measure for themselves how well your business managed its cash positions.